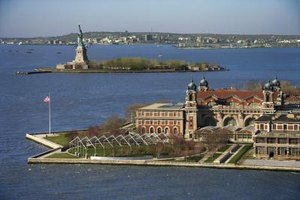 Millions of European Immigrants came to America through Ellis Island in New York City. 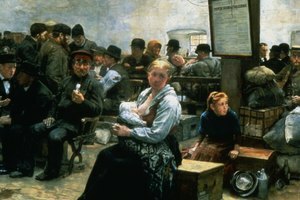 The United States experienced a large influx of European immigrants during the late 19th century. Railroads in Europe made it easy for Europeans to travel to embarkation ports and head to America. 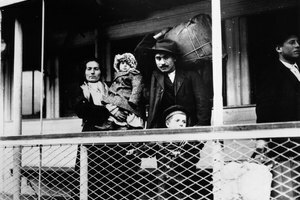 Millions of Europeans immigrated to the U.S. in the final decades of the 19th century despite a series of laws in the U.S. designed to restrict immigration. In total, nearly 12 million immigrants arrived in the United States between 1870 and 1900 – mostly from Italy, Germany and Ireland. At the end of the 19th century, more immigrants were coming from southern and central Europe rather than from northern and western Europe as had been the case earlier in the century. There was still, however, a steady flow of immigrants from Ireland and England. More than 70 percent of the European immigrants entered America through New York City. Population pressures in southern Italy caused by rising birth rates and falling death rates directed millions of Italians to immigrate to the U.S. beginning in the 1870s. Unlike earlier immigrants who came to work in agriculture, the Italian immigrants of the late 19th century moved into big cities with high demands for labor. The most common job sector for the Italian immigrants was construction. Italians dug tunnels, laid railroad tracks and helped build the first skyscrapers in Chicago and Manhattan. One of the largest European groups to immigrate to the U.S. in the late 19th century was the Germans. Earlier German immigrants had come from Protestant northern German states, but after Prussian Chancellor Otto von Bismarck united the German states to form the German Empire in 1871, they came from the southern German state of Bavaria, which were largely Catholic. According to the Library of Congress European Reading Room, almost 1.5 million Germans moved to the United States in the 1880s for a total of 2.8 million Germans living in the country by 1890. The so-called “German Triangle” of Cincinnati, Milwaukee and St. Louis was their primary destination. 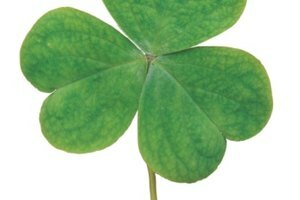 After their first wave of mass immigration in the 1850s, Irish immigrants came in large numbers during the 1880s due to crop failures as well as political and religious turmoil in Ireland. Skilled laborers from England and Wales also continued to immigrate to the United States in the 1880s for work offered by U.S. factories. 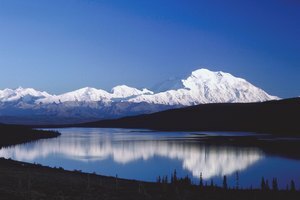 PBS: When Did They Come? 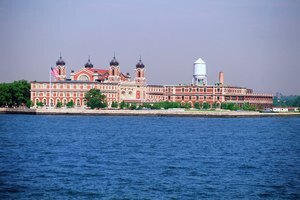 What Were the Top Three Countries of Origin for Ellis Island Immigrants? Gabriel, Brian. "Where Did European Immigrants Come From During the Late 19th Century?" 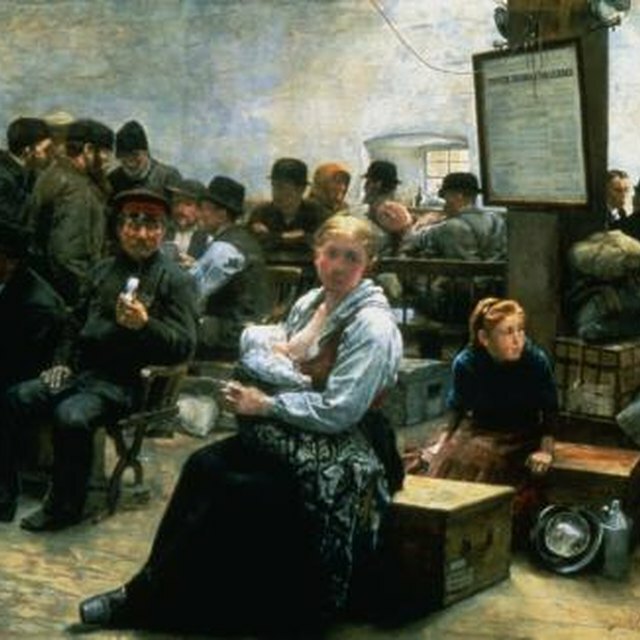 Synonym, https://classroom.synonym.com/did-european-immigrants-come-during-late-19th-century-13609.html. Accessed 24 April 2019.